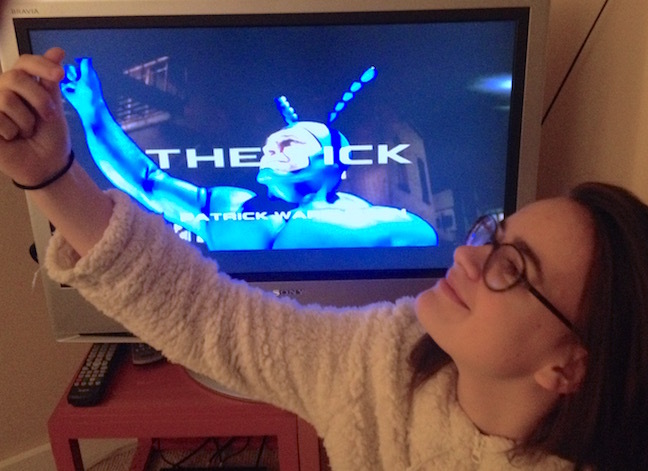 14 December 2015 : What’s This, The Tick May Be Coming Back? Dry your eyes, Celeste. The Tick may be returning to TV with new episodes. I know I said you couldn’t leave Seattle until you finish watching the original 9 episodes from 2001 with me. And, yes, I know how much you like it when I pause the show to point out the puns (Arthur: “Tick, that’s bigamy!” The Tick: “I know that’s big of you.”). But just think how much we’ll have to look forward to if it’s true and Amazon makes some new episodes. Will Arthur return? Captain America? Batmanuel? I.P Daley? I know you do, Celeste. I do, too. « 13 December 2015 : Semi-Finals!